Ask any flooring contractor about their biggest challenge, and chances are they’ll mention one of three things. First, they are struggling to fill the employee pipeline with fresh faces and skilled labor. Second, a tightening job market and 0% construction unemployment in some areas of the country means recruiting seasoned employees can be an impossible task. And finally, when faced with increasing competition for talent, retaining skilled employees is becoming increasingly tough. The answer to overcoming these problems and more, is to put people first. It’s a concept that seems almost too simple, but successful contractors big and small who have adopted a people-first approach to hiring, employee development, training and education know it’s the key to their success. 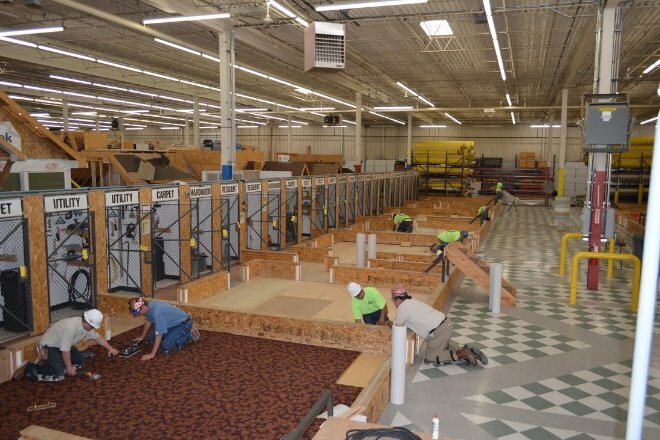 Here’s a closer look at how they do it, and the important ramifications this concept has on the current and future state of the floorcovering industry. For decades, high school guidance counselors, parents and the media have steered students towards a four-year bachelor’s degree. It’s no surprise to any of us who lived through the past fifty years that this shift in priorities has reduced interest in a variety of trades. As a result, the prospect of a vocational education is seen as an undesirable option for students who can’t get into college or don’t have the drive or motivation to pursue a traditional four-year degree in an academic program. This couldn’t be further from the truth. But while states like California are spending millions of dollars to revive the reputation of trade schools and vocational programs, the stigma still remains. This is making it increasingly difficult to fill the employment pipeline with talented young professionals and apprentices, unless that person knows someone in the industry. “We find that our best new employees, including recent graduates from apprenticeship programs, are still coming from word of mouth,” explained Kelly Taylor, owner and president of Ambassador Floor. “Since long-term employees are very loyal to the company they are actively helping to find and cultivate new talent. This includes encouraging friends and family members to learn about the apprenticeship program and get involved with a trade,” he added. However, there is a silver lining to this situation. Since rising college costs and student loans can be stifling, high school students and their parents are increasingly looking for alternatives to expensive four-year college programs. In fact, according to the National Center for Education Statistics, the employment rate for people with occupational credentials is actually higher than the employment rate for those with academic credentials. This is a major advantage for recruiters and union reps looking to attract would-be apprentices. In addition, the United States now has more than 30 million jobs that pay an average of $55,000 per year and don’t require a bachelor’s degree, according to Georgetown University’s Center on Education and the Workforce. It’s major selling point and one that cannot be stressed enough. 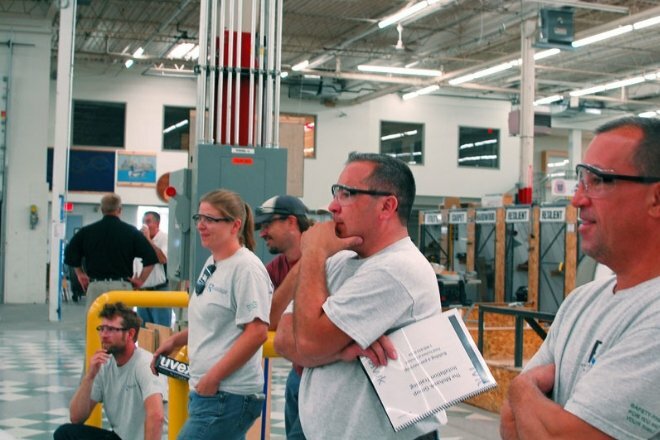 While getting young people, especially high school students, interested in our industry is challenging enough, several markets throughout the country are at full employment in the construction industry and facing significant labor shortages for skilled, experienced installers, journeymen, estimators and other jobs. “There are some very real traps in an economy and industry that is running on all cylinders,” explained Taylor. “The greater St. Louis metropolitan area where we operate is at 0% unemployment in the construction industry. Typically, prospective employees aren’t ‘sitting on the books’ anymore, so if someone is unemployed or can’t land a job then there is typically an issue with that person,” he added. “While we are actively recruiting employees at all times, we still need more bodies,” said Komlos. From attending job fairs to taking referrals from current employees, his goal is to create a constantly replenishing list of potential new hires. However, he has had to rely on a larger geographic area to achieve this. “As a large shop with a significant market share, we try to keep our team members busy,” said Komlos. “Even if that means tackling a project outside of the state, we keep guys employed full-time and this helps them stay focused,” he added. Without major ebbs and flows in workload, Komlos is able to avoid situations where employees schedule side jobs or seek more steady employment from rival companies. Another way Hart and Taylor have kept employees loyal and engaged is by giving every single one of their mechanics a company cell phone. This logs their GPS location, tracks their time and includes work instructions and job information – just one of several systems in place to create and build a culture of hardworking, loyal and honest employees. It may sound like a simple concept, but putting people first is one of the most important steps a contractor can take to combat common industry challenges. From creating a pipeline full of promising new talent to recruiting and retaining skilled installers, investing in people pays you and your company back in spades. The result is dedicated and happy employees, a nimbler and more experienced workforce and ultimately, happier clients. *This article originally appeared in the November/December edition of ProInstaller Magazine.